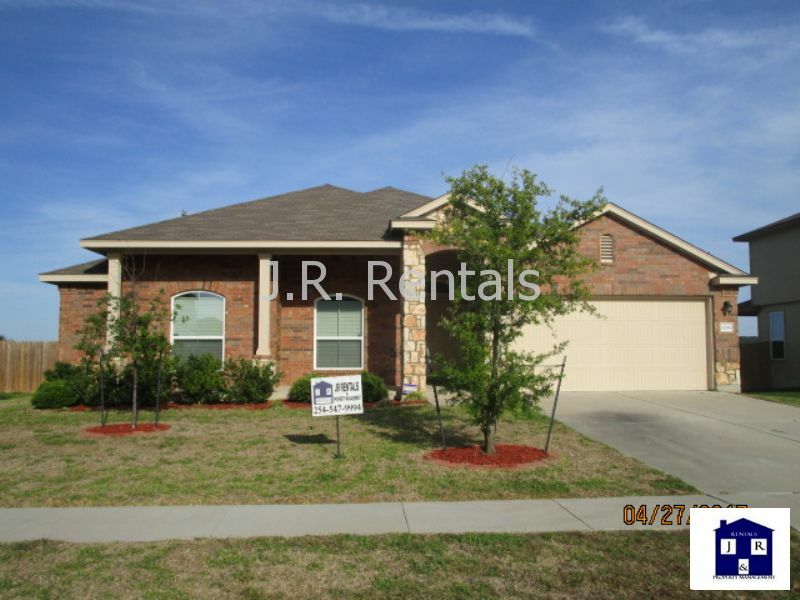 Residential Rental Listing 4 bed 2 bath in Copperas Cove, TX. Clean and Ready For You! clean and ready for you! Strong brick and complementary accents help depict the splendor of this home. Four bedrooms, two baths, two-car garage, and 2000 square feet make up the inside. The sophisticated kitchen basks in the warm wood stained cabinets while marvelous appliances, a pantry, and an elegant granite counter round out this perfect kitchen. The warmth from the kitchen is carried over to the pleasant breakfast area. The living room is enormous, yet still keeps a sense of coziness. Luxurious master suite that is an eye catcher. The master bedroom is extremely large with a walk-in-closet to match. Each bedroom has enormous amount of space matched only by the sunlight it brings in with its bright windows. The huge backyard outs the finishing touches on this amazing home. $1300. Give the office a call for more information!